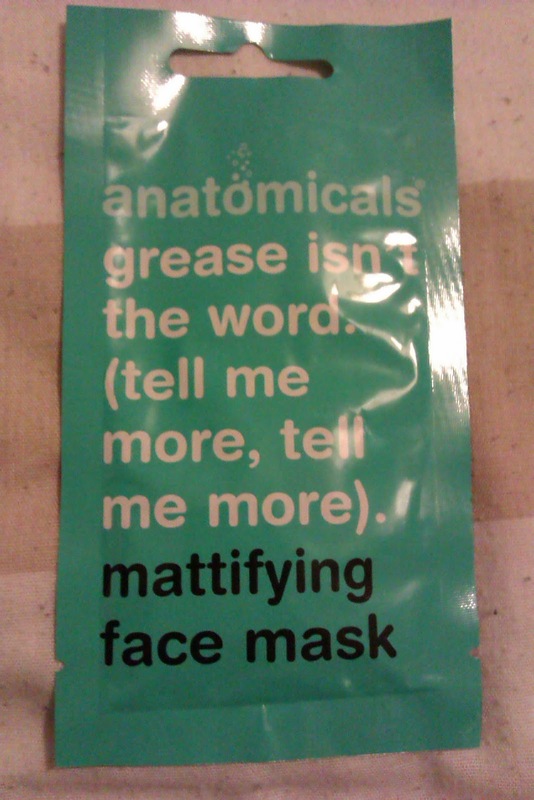 Whilst in TopShop the other day, I noticed they stocked a couple of Anatomicals face masks at £1 each, so I grabbed the cheesy and long-winded Grease Isn't The Word (Tell Me More, Tell Me More) Mattifying Face Mask. This doesn't seem to be on the TopShop website but it's available from Beauty Bay for the same price. According to the website, "Enriched with algae extract and wheat protein, this sensational face mask regulates sebum production, tightens pores and regenerates the epidermis. Shea butter works to soften and moisturise dry skin, whilst coconut oil leaves skin feeling refreshed." As usual, I slapped it on, left it for fifteen minutes or so, then removed it with plenty of warm water and a face cloth before moisturising. So, does it live up to its claims? 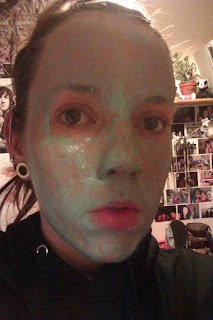 Immediately afterwards, my skin was not oily, but then I'd just washed it so I'd bloody well hope so! This didn't seem to last any longer than just normal face-washing. My skin did feel nice and clean and soft, but I couldn't see any difference in the size of my pores. So, overall, I'm not massively impressed with this. It's nice enough to use and left my skin feeling good but I didn't feel like it did what it was meant to do. There are definitely better face masks out there for this price!